Only 1 in 10 professional marketers describe their lead generation efforts are “highly efficient and effective.” For most business owners, that’s simply not good enough. 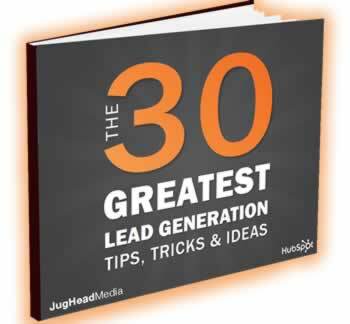 So, we’ve compiled the 30 greatest lead generation lessons into a guide and you can learn how we help our clients generate 100’s of leads each month. How to create irrestible offers. How to gain extra traction by alliging your campaigns with ‘what’s hot’ in the news media. How to create titles that grab attention. How to create offers for buyers at different stages. This is your guide to start generating more high-quality sales leads today. Get your free copy!